So, for today's post, I thought it would be fun to take a look at some handmade cutting boards on Etsy. Even if you don't want to purchase one for yourself, I think that they would really make a great wedding present or housewarming gift. 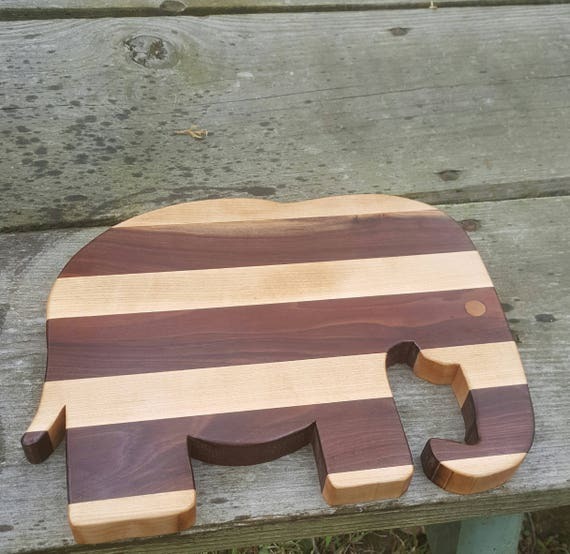 Made with maple and walnut, this adorable striped elephant is 14 inches by 12 inches, and 1 inch thick. I just love how this oak cutting board is staged for the photo - it really makes you want to roll your sleeves up and start cooking. 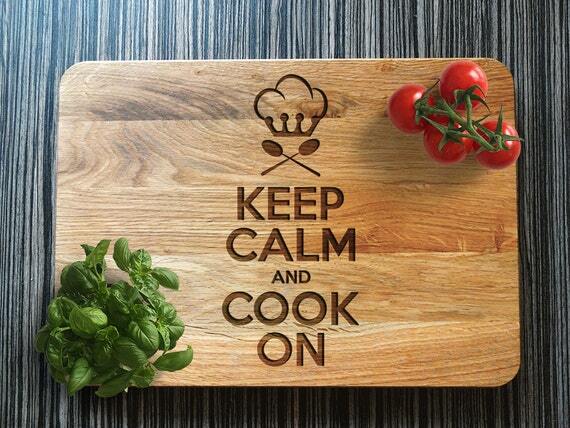 Cooking can be such a relaxing hobby if you don't take it too seriously! 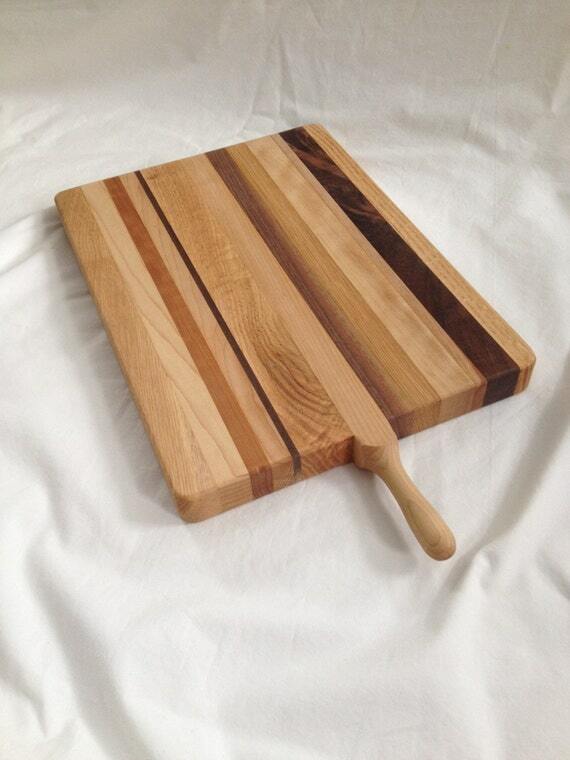 I really love the handle and the variety of hardwood used in this cutting board! 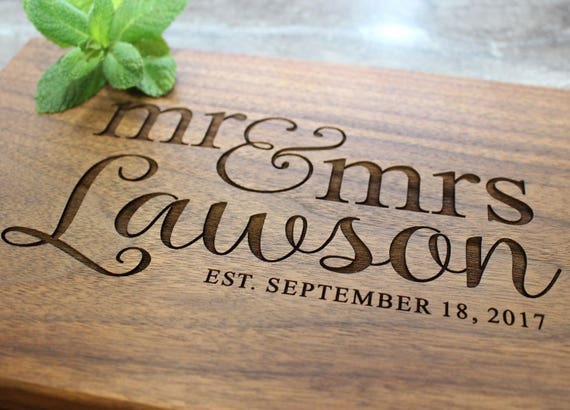 When my sister-in-law got married, my husband and I purchased a personalized cutting board for her & her new husband. It was beautiful! Personalizing gifts is such a great way to add a little extra thought into the presents you buy. Thar she blows! 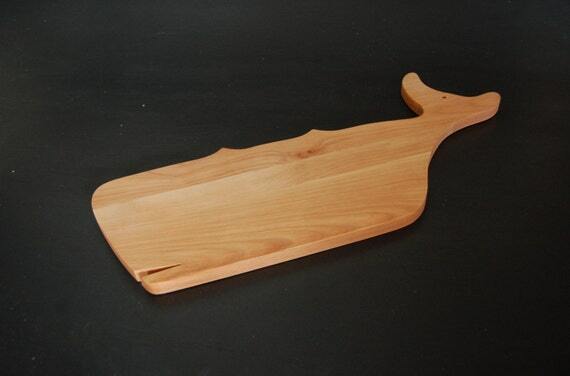 This whale shaped cutting board is made from yellow birch hardwood, and is such a fun way to add a little whimsy to your kitchen. Which of these was your favorite? Is there a cutting board on Etsy that you love that you feel I should have featured? Let me know in the comments! Until next time, stay crafty & buy handmade!